Kyo-hwa-so No. 22 Oro is a "reeducation camp" with ca. 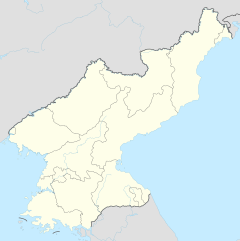 1,000 prisoners in South Hamgyong, North Korea. ^ "The Hidden Gulag – Exposing Crimes against Humanity in North Korea's Vast Prison System (p. 98 - 100)" (PDF). The Committee for Human Rights in North Korea. Retrieved September 14, 2012.